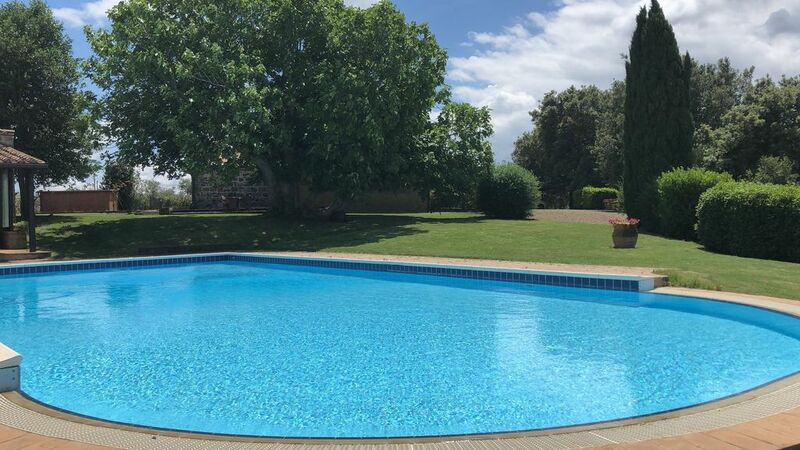 The property, a few kilometers from the quaint village of Pitigliano, consists of a central structure with a large living room with fireplace and dining room, large kitchen, 2 bedrooms, 2 bathrooms and a structure adjacent to the pool with veranda, dressing room and services toilets. The farmhouse is equipped with air conditioning for the summer and gas heating for the winter, dishwasher and washing machine. Nearby are the thermal baths of Saturnia and Sorano.